Note: This set was available for free from a mail-in offer found in the Early Bird Certificate Package. Back in 1977, Kenner celebrated the launch of the original Star Wars movie with a truly unique item: the "Empty Box" promotion. With the runaway success of Star Wars and no time to produce their now-famous figures in time for the holidays, Kenner offered Star Wars fans an alternative: an “Empty Box” that included no figures, but instead contained a mail-in certificate that fans could redeem for four 3.75” Star Wars action figures by mail-- the very first Star Wars figures ever made. Princess Leia - with her special star puffs hairdo, and laser pistol like the one she used in the movie. R2-D2 (Artoo-Detoo) - with movable legs and a head that "clicks" as it turns around. Chewbacca - with his special laser rifle and ammunition belt across his chest. 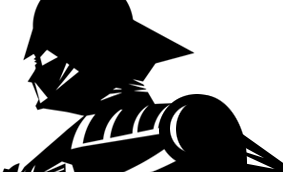 Roll over image above to see R2-D2 in action! Luke Skywalker is an all-new figure with a telescoping lightsaber, similar to the Vintage figure. Princess Leia is an all-new figure. 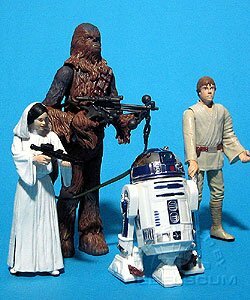 Chewbacca is a kit-bashed figure. He has the body of the VOTC Chewbacca and a new head. 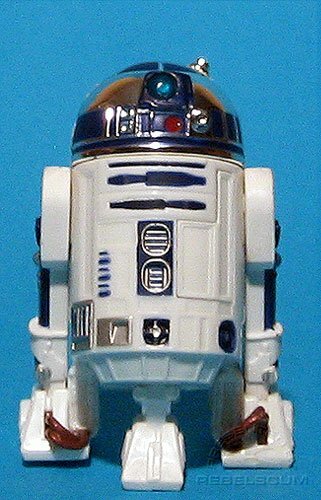 R2-D2 is based on the VOTC R2-D2 without all the extra accessories.